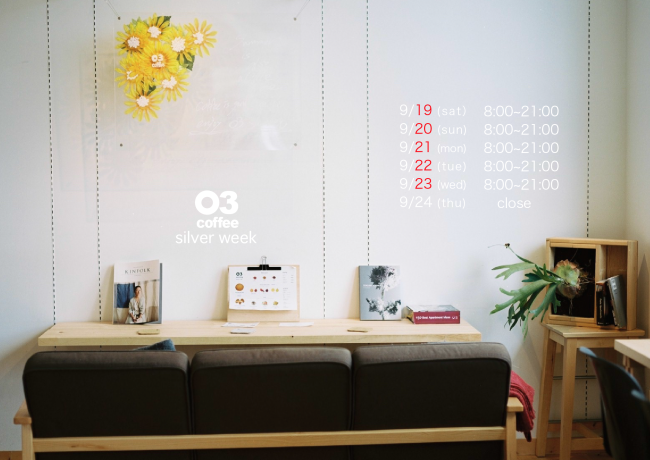 enjoy the silver week holidays!! and time of a special night of 03coffee! !